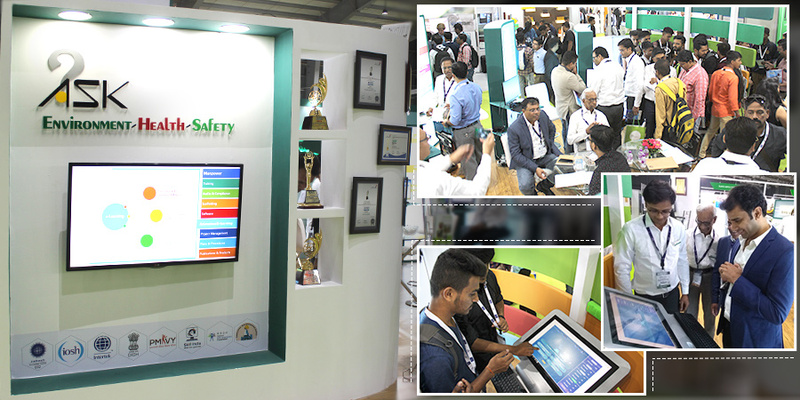 ASK-EHS Group participated at the widely awaited OSH India exhibition held in Mumbai on 29th and 30th November. The first in this two part blog will provide the coverage of Day 1 events as they unfolded. 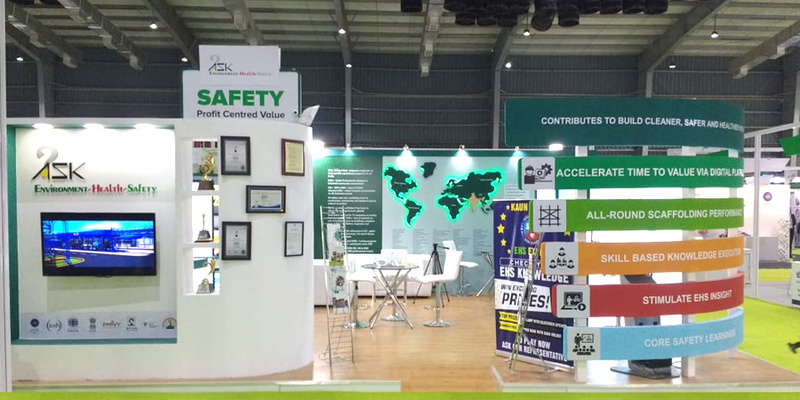 ASK-EHS Group has constantly worked upon the vision to “integrate EHS in all human endeavours” and with this spirit, we had been busy for the past few months to mark our presence at the OSH India Mumbai exhibition, BEC (Goregaon). Exhibition events are not only a good way to assess how well do we know our target audiences, potential clients and current clients; but it is also the simplest path to ease into the minds of people who visit and for those who show interest within the domain. ‘EHS-industries-services’ pursuit wasn’t the first focus, ASK-EHS had in mind. We were keen to establish a creative linkup between our core audiences as well as students who are the budding safety professionals of the future. ASK-EHS team called C-48 their home for the last two days of November – Information, interaction and engagement were our tools. Day one started at 10 in the morning with most of the participants at their booths/stalls, eagerly waiting the exhibition to kick-off, post ceremonial obligations. ASK-EHS were perhaps the only integrated EHS services provider at the OSH India exhibition. This was a point of both intrigue and exploration for our guests and visitors. How does one link, combine and deliver such diversity under one name with growing relevance and demand? We answered all these questions and provided the basis for much more in terms of how our position as pioneer and leader in integrated EHS services has been helping even global clients. We represented ourselves with our 5 key services in mind and a special area for students and safety professionals in education to ensure that our audience feels inclusive of this spirit. 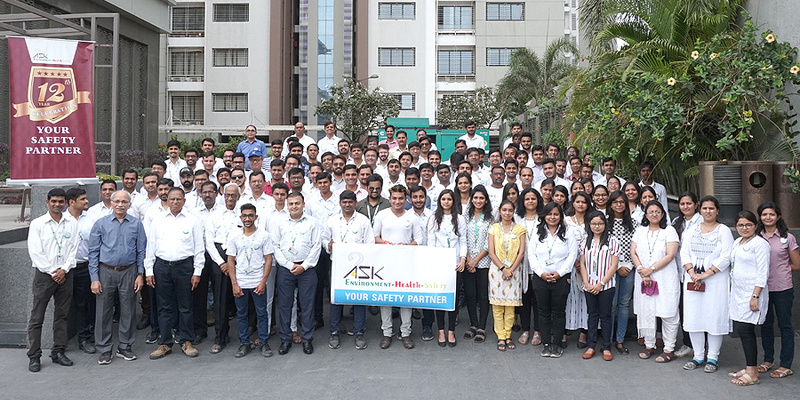 Like for instance, to put the audience into context; C level HSE and management professionals adorned and interacted with ASK-EHS team to understand and know more about our services. While students switching degrees, prospecting for ‘career and what’s next’ were all part of the same mix, side-by-side. Day one saw the ASK-EHS team engage with a diverse and focused crowd mainly from industries and corporates. The key points were our services, as to how ASK-EHS hones core EHS and OHS domain knowledge to deliver outstanding results. The busiest as we were ever, took a solid chunk of 4 hours where all the team members did their best to offer a smooth experience to all our guests and visitors. 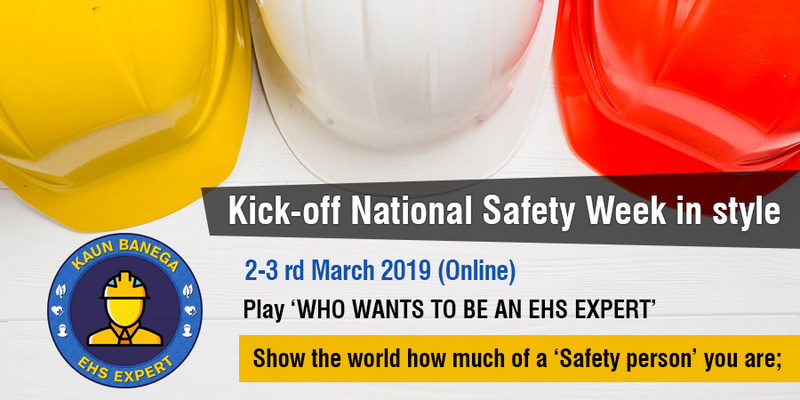 NEBOSH and British Safety Council as members of the same fraternity showed their mutual respect by being few of the very first delegates to visit ASK-EHS booth. The interactions, question and answer along with conversation threads went along the whole day with tremendous interest and even intrigue at few of the services that we offer. This assured us that there is so much more to deliver and establish within EHS service model that ASK-EHS should ply, more and more efforts to make it effortless for industries and corporates. Another highlight was our in-house game named “Who will become EHS expert” on the lines of ‘Kaun Banega Crorepati’. The challenging questions put our guests in a position where they had to dig deep and answer a wide range of EHS questions with some great prizes to be won at the end. Expectedly, there were some really happy winners after crossing the hurdles. Engage, talk and trigger the safety emotion where each of us can see a personal story emerge and bind together to drive the safety spirit – this was such a common thread for our team and a big reward in itself too. For our guests and visitors, we hope that the engagement and conversations were as positive as ASK-EHS team felt they were and we would like to establish a further connection through this two part blog. If you haven’t already expressed your interest, please write into: osh.india@askehs.com and let us know what you think.